Perotti by Pottery Barn. 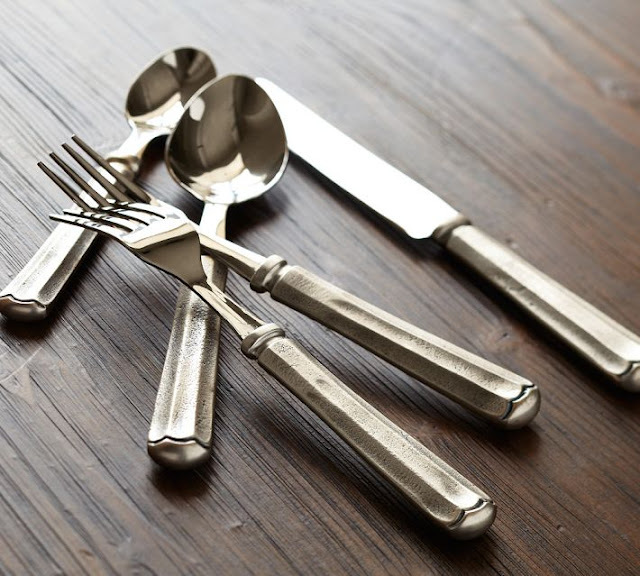 A fantastic hand-forged look on a substantial base. 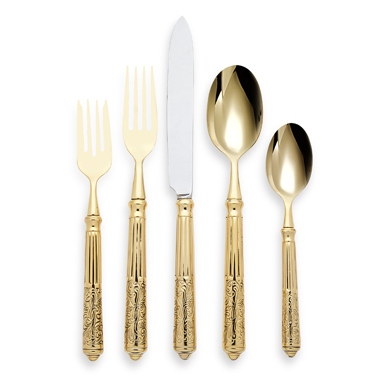 This stand-out set with organic appeal will withstand wear-and-tear for decades. 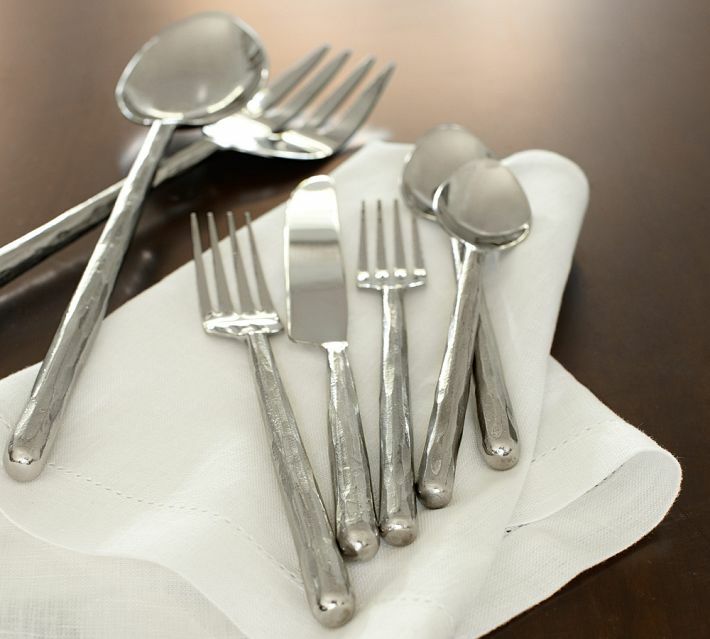 Most people only keep one or two sets of flatware at a time, and that flatware usually has a lifespan of a solid decade or even much, much longer if you're able to avoid garbage-disposal casualties. Even though they get used 3+ times a day and 7 days a week, year after year, they can be one of those household items that are given little thought during the choosing process. And I think it's a missed opportunity. I can understand the temptation to make a quick selection. There's a lot of stuff out there. 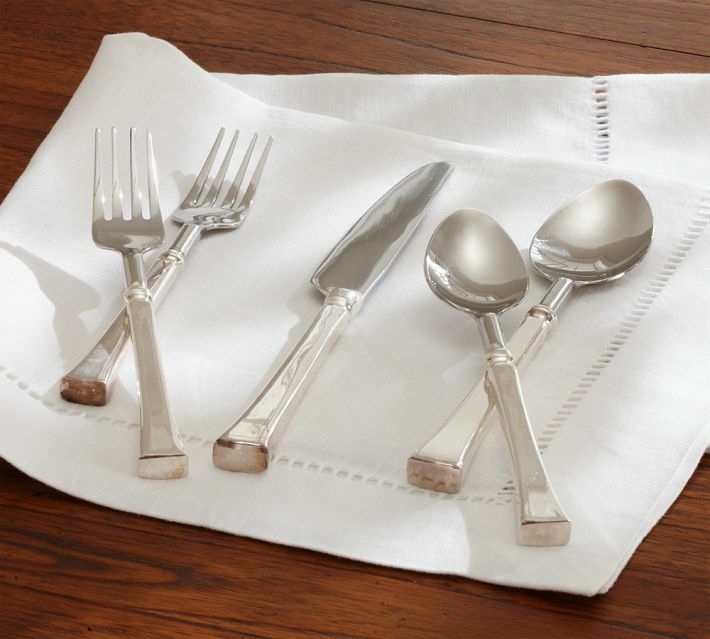 But your flatware can stand out in a very good way if you're choosy, a bad way if you're not, or may be a snoozer and, consequently, go entirely unnoticed. Tiempo by Crate&Barrel. The perfectly round shape of the spoon's bowl makes a fun statement, but make sure the head is shallow enough to still be comfortable on the mouth. Once you've decided whether you're looking for something that's decidedly feminine or masculine or something gender ambiguous, you can move forward by considering the body and clothing of the pieces. 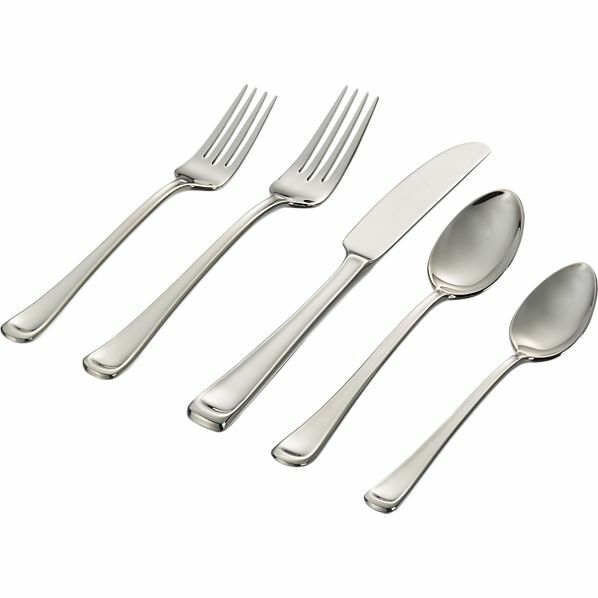 Slim or wide, rounded or squared, tapered or flared, (rhyme!) 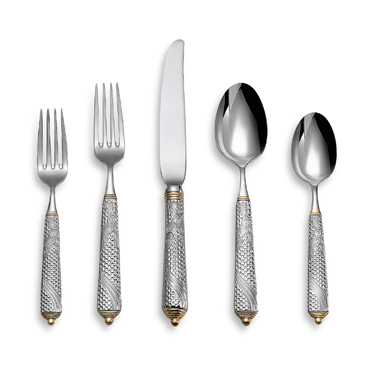 classic or trendy, antique, modern or retro, textured or smooth, patterned or clean, dull or shiny, silver, gold, two-toned or colored, universal or regional. 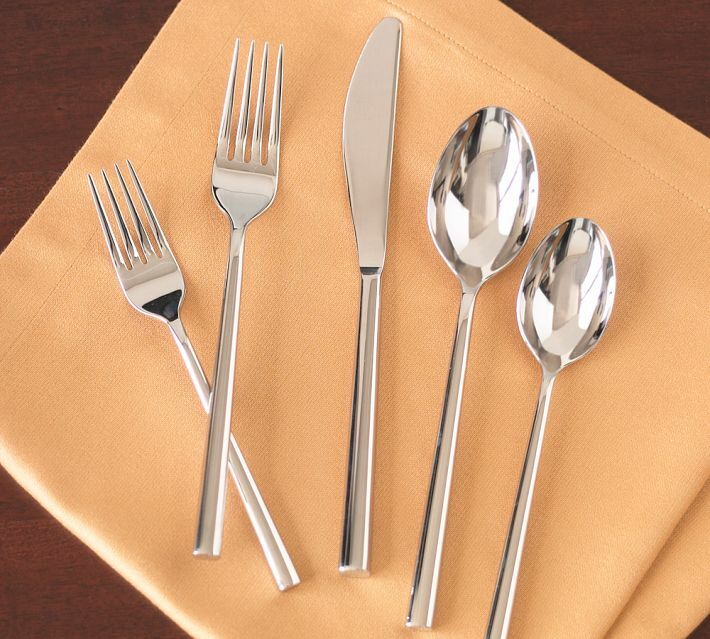 You might even consider if you want your flatware to be wearing a dress (uniform from neck-to-toe) or to have on a top and bottom like in the picture above. 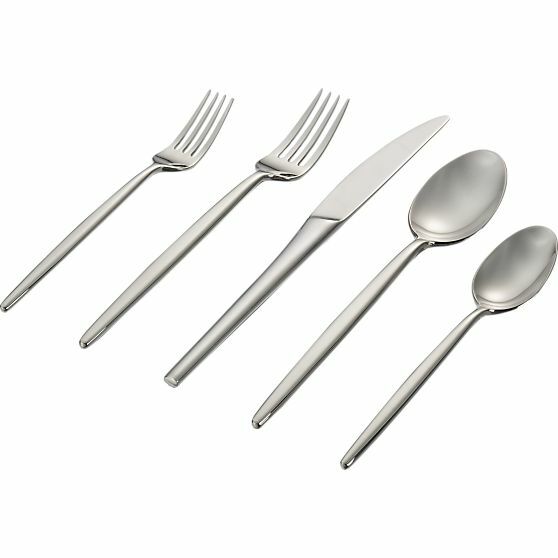 Just as you might wear a white top with a turquoise necklace, many sets of flatware have one point of interest on an otherwise simple body. Perhaps you want the details to be just in the seams. Maybe the body shape you're going for is long and lean, curvy, or heavy in the belly. I'll give you examples. Slim; Shiny. 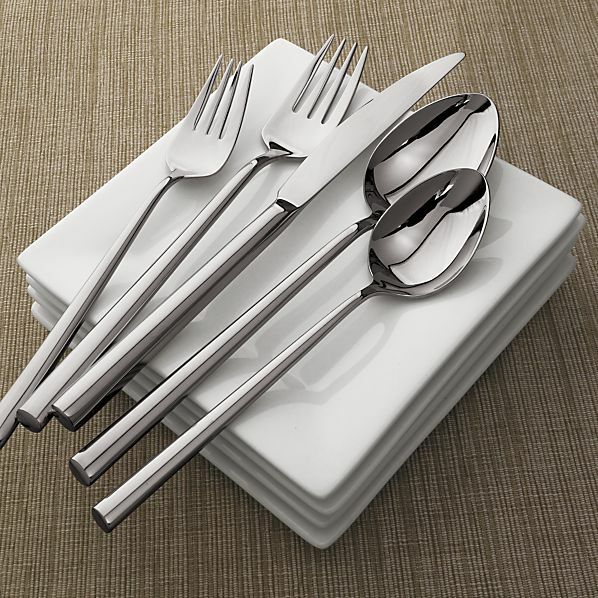 Charlotte by Crate&Barrel. Charlotte wears a no-fuss maxi dress. Wide; Round; Shiny; Classic. I love this set. Savant by Pottery Barn. Savant wears a fashion-forward, off-the-shoulder ballgown. Square; One focal point. 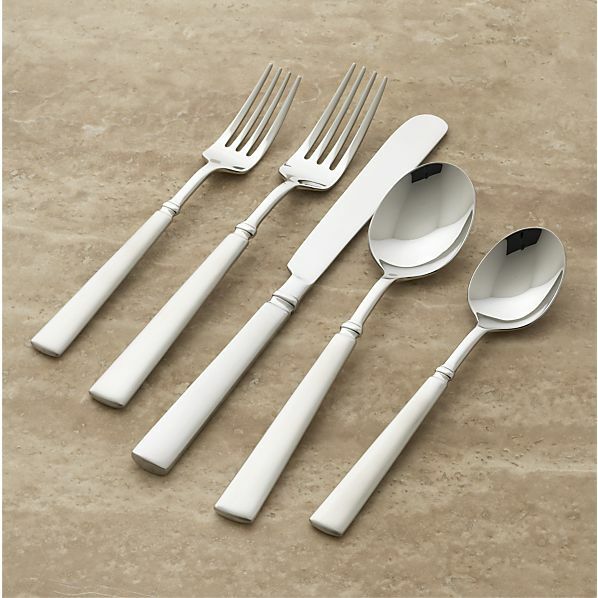 Fiesole by Pottery Barn. I'm thinking a belted maxi skirt with a white, cotton tank. 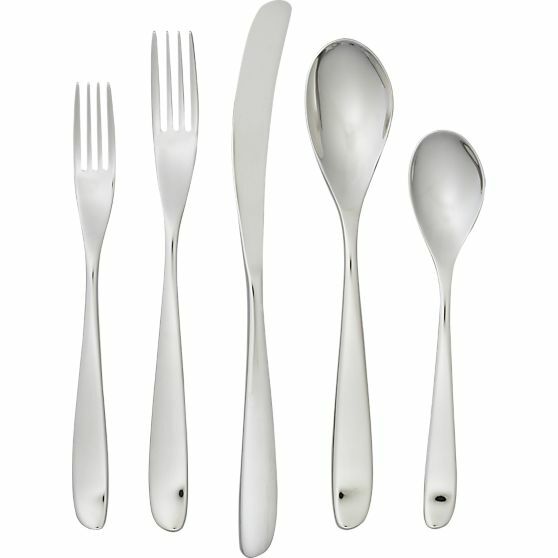 Modern; Tapered; Trendy; Shiny. Uptown by Crate&Barrel. Uptown wears skinny jeans and ankle boots. Flared; Shiny. Scoop by Crate&Barrel. Scoop has no pretenses. She's confident in a pair of boot-cut jeans, her favorite t-shirt, and tan leather flip-flops. Details in the seams; Classic; Flare. Vera Wang Wedgewood Grosgrain. Black tunic and an eclectic trio of long, chain necklaces. 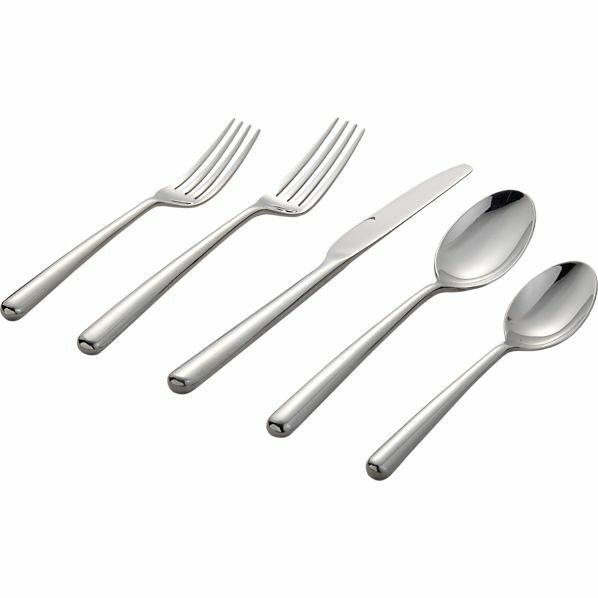 Long and lean; Round/Oval; Modern. Oona by Crate & Barrel. These may look simple, and will be versatile, but they'll make a nice statement as well. Long and lean; Squared; Modern. 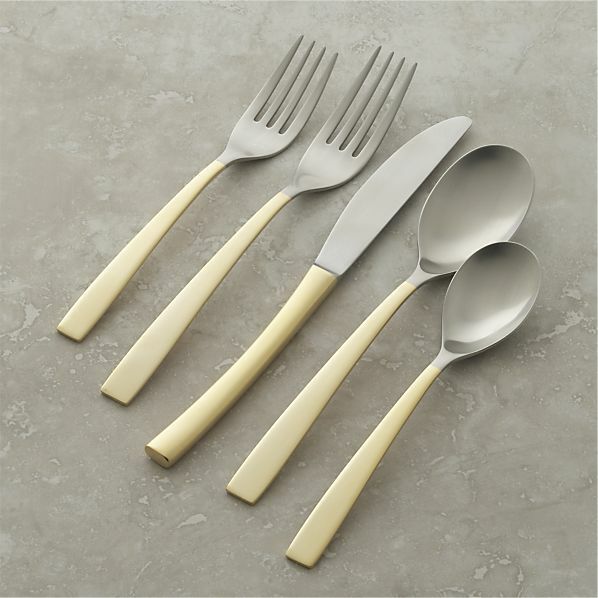 Luna by Pottery Barn. Curvy body; Textured; Shiny. Shiny Hammered by Pottery Barn. Wearing trusty thermals. Heavy in the belly; Smooth; Shiny; Modern. Eva by Crate&Barrel. Naked. Textured; Classic; Dull & Shiny; Wide. Tivoli by Pottery Barn. Substantial, stylish yet unpretentious, and comfortable. I like this set quite a bit. However, carefully consider your drawer space as the size of these will likely take up double the space of another set. Square; Antique; Dull finish; Classic. 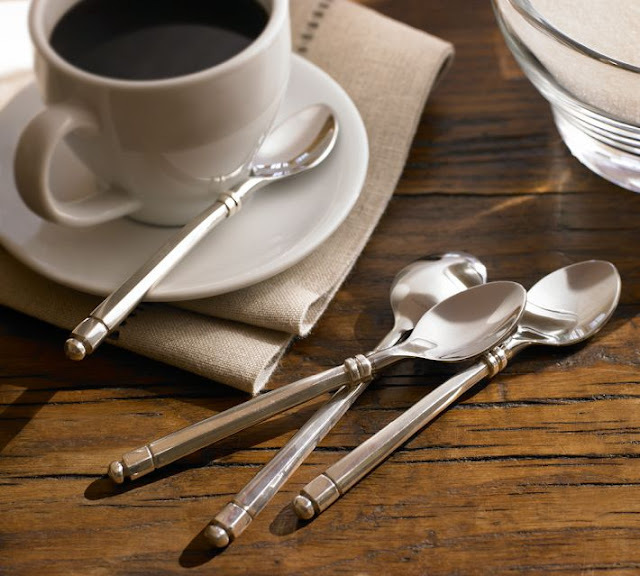 Maxfield Demitassee Spoon by Pottery Barn. I am in LOVE with these spoons. So smart and handsome. "An antique tea service from an English hotel inspired the design of our demitasse spoons." Two-toned; Regional; Textured; Patterned; Wide. Byzantine Gold by Yamazaki. Two-toned; Clean; Dull finish; Smooth. Surat by Crate&Barrel. Surat is dressed for an evening black-tie event in Manhattan. If you're like me, you might be the kind of person who loves flannel tops and jeans as much as you do a pencil skirt, and maybe sometimes you even play with edgier looks. Or maybe you're too artsy for what's generally offered on the market. If you fall into one of these categories, you might benefit from an eclectic collection, hand-selected from from a flea market. Rather buy a miss-matched set without traipsing through market after market? Try the Sheffield Heirloom Silver-Plated collection from Pottery Barn. 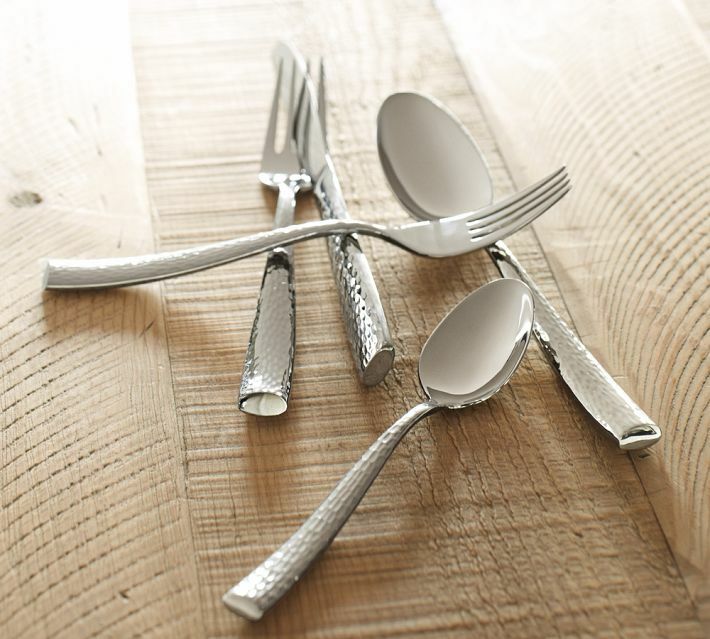 It's pricy, to be sure, but if money's no issue, you'll have a show-stopping collection on your hands... er table. Kyoto by Crate&Barrel. Even if you have a great interest in Eastern Asia, you probably don't eat only Asian food in your home. 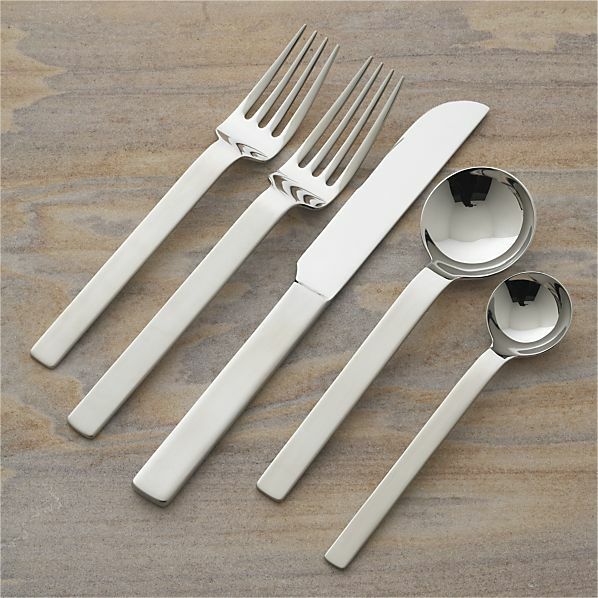 Using these to eat cannelloni, for example, may feel as incoherent as using chop sticks. Hazel by Crate&Barrel. These are definitely eye-catching, but the odd shape reminds me of the effects of the hall of mirrors in a carnival fun house. I wouldn't rule them out entirely, but I would just want to be sure this is a style I'll love for years and years. 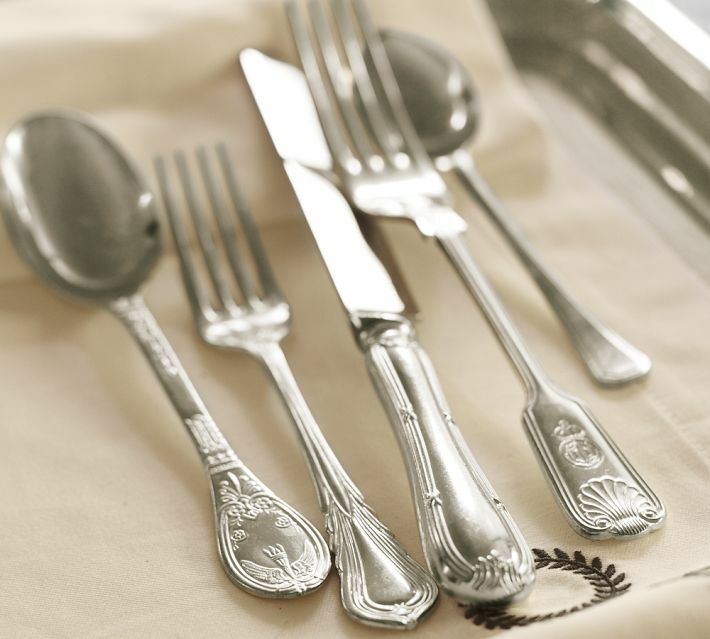 Each is appealing in their own way, but may lack versatility and become "old" to the owner years before the flatware has worn out its usefulness. 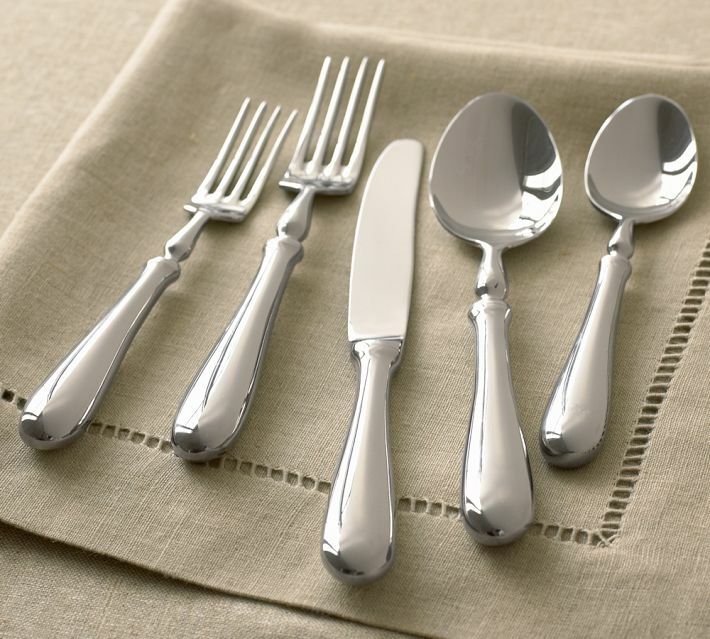 Whatever you do, I recommend shopping for your flatware in a place that will allow you to hold the pieces in your hands and see them at every angle. Get something that feels properly weighted and comfortable to you and anyone else helping you to make the purchase. 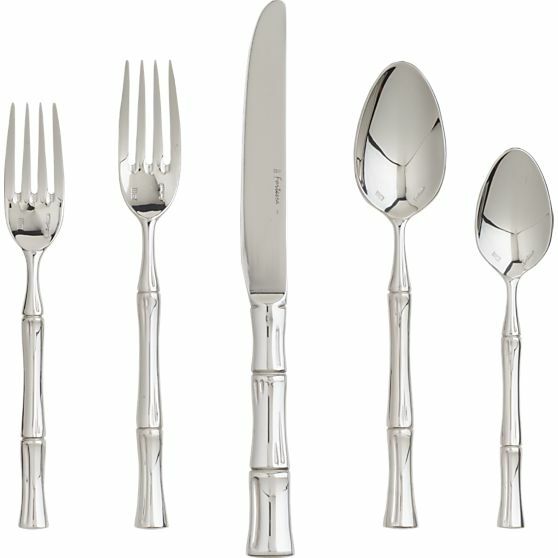 Otherwise you may end up with something that resembles camping flatware in looks, feel, and quality! My personal favorite? 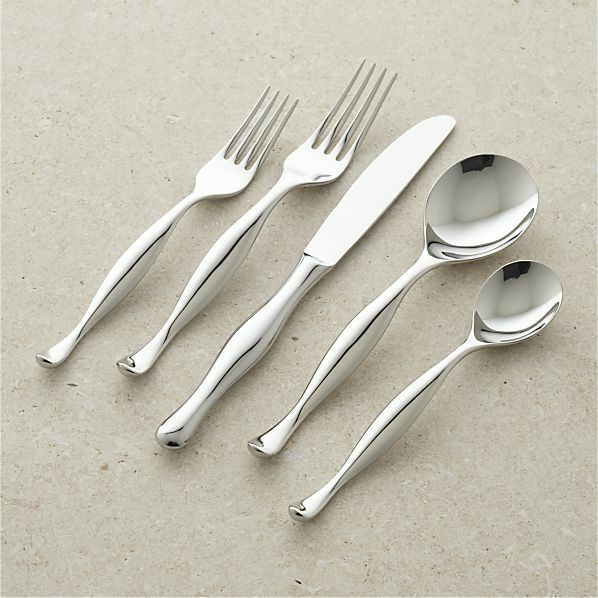 The Bella Silver-Plated Flatware by Pottery Barn. Stunning. Stunning, stunning, stunning. 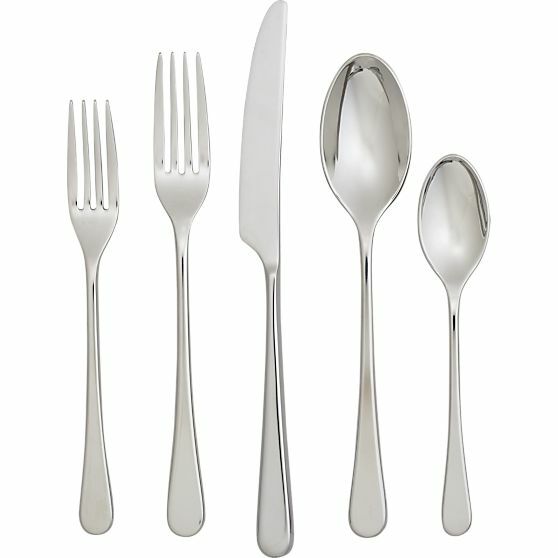 Elegant, timeless, fashionable, substantial, and smooth with beautiful lines and a gorgeous luster. They're probably too nice for everyday use, but I'm not sure that would stop me from making the purchase. This is a set worthy of safe-keeping, to be handed down to the next generation. In my dreams I own this set. Well done, Pottery Barn designers! If this kind of stuff catches your fancy, read my posts on Building a Collection of Dining & Entertaining Pieces and Choosing Drinkware. My fave is the Bella, too, Janna!! 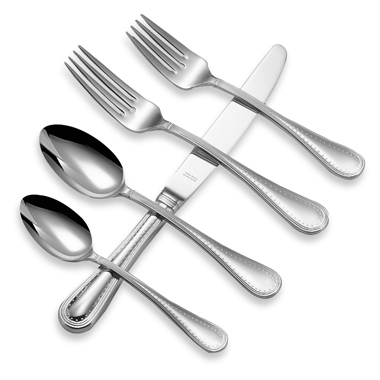 I have 5-6 sets of silverware, all different, depending upon my mood and the feel of the dining!